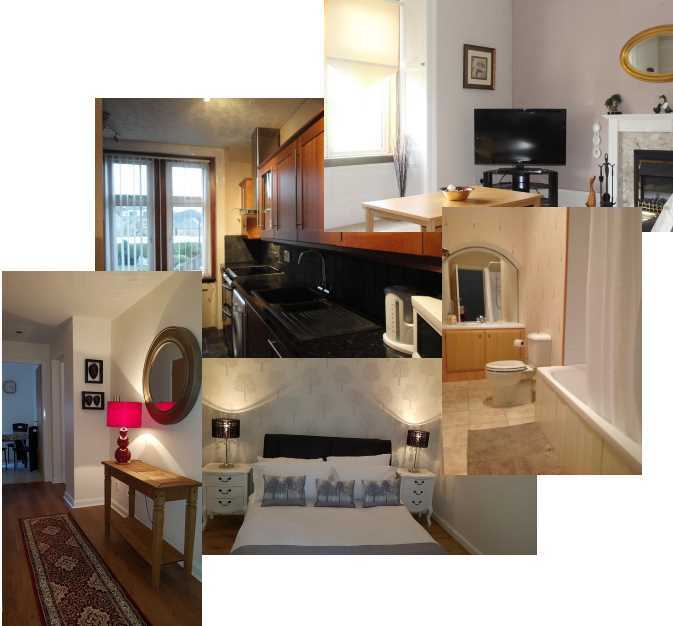 We have 2 beautiful apartments, Largs Stay and St Leonards, available for you to book now. Both apartments are fully fitted with modern Kitchens and bathrooms. All bedlinen, towels and toiletries are provided. Right in the heart of Largs, St Leonards Self Catering Apartments situated on a quiet street, minutes from the beachfront and the town centre. Our apartments have free parking outside, modern flat screen TVs and free wifi. We are a 40 minute drive from Glasgow airport and close to ferries for Cumbrae, Bute and Arran. St Leonards is family owned by John and Mary, and we have been running our self catering apartments since 2012, while running our guest house since 2005. These attractive apartments are minutes from our home so we are always on hand nearby to assist with any help you may need to make your stay even better. We have 2 fantastic apartments available at any time of the year. 2 Bedrooms, one double bed & one with 2 single beds. 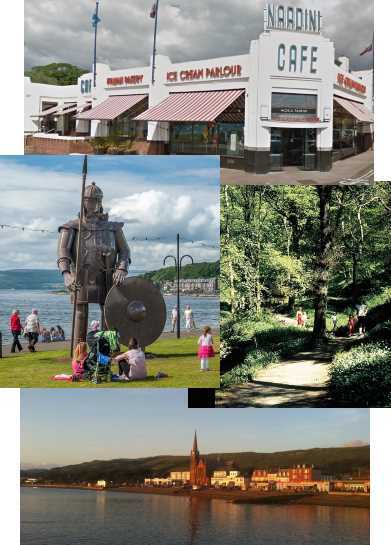 As our self catering apartments are based right near the center of Largs, you will benifit greatly from being so close to soo many great places. Within walking distance of the high street and the beachfront, you can stand by the sea and look across to Great Cumbrae and Bute, all while eating ice cream from the world famous Nardini's art deco cafe nearby. Largs has its own private and public golf course as well as an amazing range of shops, pubs, restaurants and cafes right at its center. Only a few miles from Kelburn Castle & Country Centre, Vikingar, Heritage Center and minutes from Largs pier where you can enjoy a sail on the world famous paddle streamer the Waverly from June to August, for a great family day out. For our guests coming from further away, you will be 30 miles from Glasgow, one of Scotlands cultural hubs and home to institutions including the Scottish Opera, Scottish Ballet and National Theatre of Scotland, as well as acclaimed museums and a thriving music scene. We also have a fabulous guest house in Largs as well. An elegant villa, ideally placed for the town centre and beachfront of the lovely seaside town of Largs, offers a high standard of accommodation with a variety of rooms available including a double en-suite, a double, a twin en-suite, two twin bedded rooms and a single. Uniquely for such an establishment guests have their own secure entrance ensuring compete flexibility of access.